Washington: Iraq is still struggling to recover from 40 years of almost uninterrupted war and internal conflict. It has been more than a year since the country’s forces finally managed to wrest back control of Mosul, its second-largest city, from Daesh. Yet the city remains in ruins. “If you ask me, is the Iraqi government bureaucracy successful? Absolutely not,” Iraqi President Barham Salih said in an interview. He spoke at length on the need to fight a deeply entrenched culture of corruption in the bureaucracy, the government’s failure to provide basic public services such as water and electricity, and the challenge of preventing a Daesh revival. And yet Salih is actually optimistic about the future of his country. “Life is coming back,” he said. There was “a sense of urgency” among the members of the administration of which he’s a part. (Iraqis voted in May 2018, and it took about five months to form a new government headed by Prime Minister Adel Abdul Mahdi, who is often described as a nonpartisan technocrat. Salih was elected by the Iraqi parliament on Oct. 2 by a vote of 219 to 22). “We need to deliver,” he said. Iraq—the country identified in American minds with chaos and endless warfare—is a democracy. Citizens vote, and leaders must respond to their demands; otherwise, they won’t be reelected. It’s a deeply flawed democracy, to be sure, as Salih is the first to note. Yet its institutions, created after the US-led invasion in 2003, have endured. However, there is a major impediment to improved relations between Iraq and the United States—and that is Iran’s growing power. The fight against Daesh has left Iranian-sponsored militias, the so-called Popular Mobilisation Forces, in a position to dominate Iraq’s security. Secretary of State Mike Pompeo is threatening to sanction Iraqi Shiite militias and Iraqi politicians with Iranian ties, a policy almost certain to backfire. Salih notes that Iraq has an interest in good relations with Iran, with which it shares a long and porous border. Yet Salih says he wants to see Americans remain active in the fate of his country—through investment, education and development assistance. 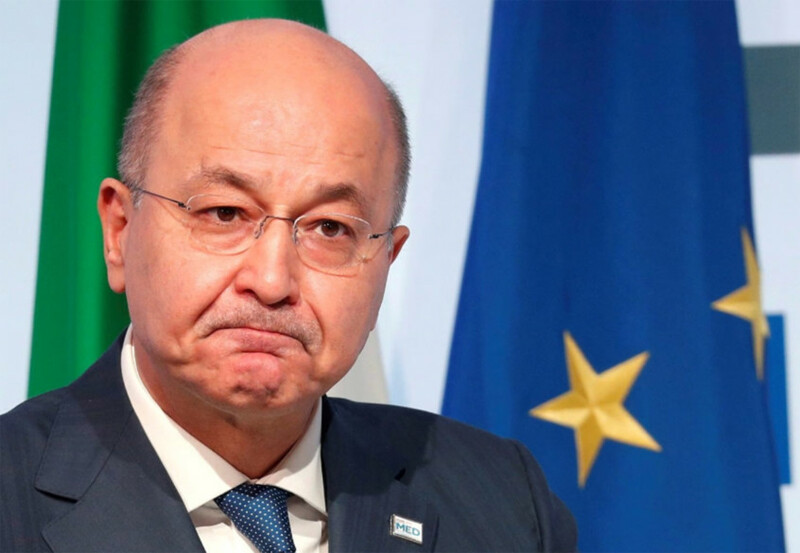 Barham Salih, the president of Iraq, is from Sulaimaniyah in Iraqi Kurdistan. Born in 1960 to a prominent Kurdish family, he made his first acquaintance with Saddam Hussain’s jails at age 19. He spent many years abroad, earning a doctorate in statistics and computing at a British university, and later returned to Iraq, where he played a prominent role in Kurdish and Iraqi politics - including a stint as the Iraqi Kurds’ representative in Washington from 1992 to 2001. He speaks English, Arabic and Kurdish with equal facility, switching effortlessly among the languages.